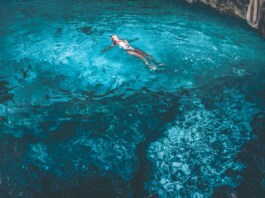 Wanting to visit the incredible cenotes in Mexico? 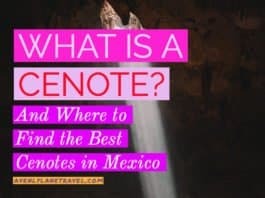 Cenote Xkeken is sometimes spelled Cenote X’keken, is also known as Cenote Dzitnup, confused yet? 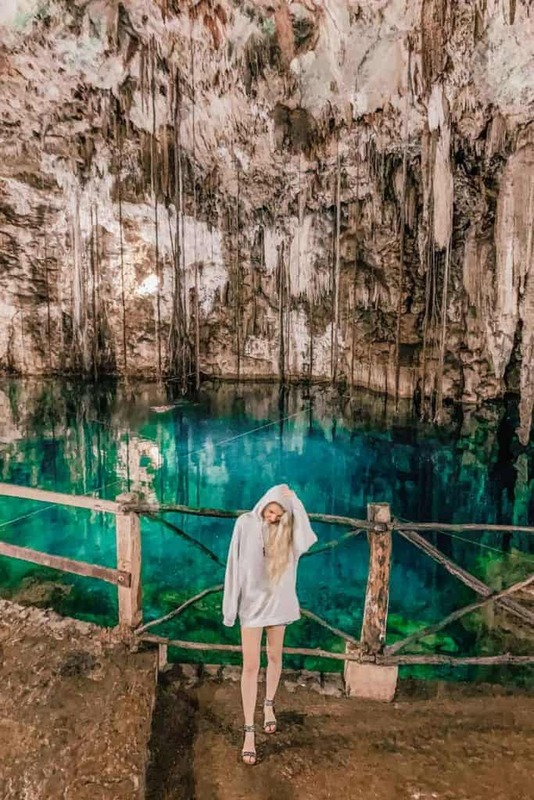 To further confuse you, Cenote Xkeken is also located in the same park as Cenote Samula (touring both at once is a definite must). The final confusing element is that Cenotes Xkeken and Samula are just down the road from Cenote Saamal. It took me way too long to figure all of that out, but it will help you once you are there, trust me! The ceiling over many Yucatan cenotes fall in so that they are open to the sky. This is not the case at Cenote Xkeken. The only opening to the sky is a single hole that lets in a celestial beam of sunlight when clouds aren’t blocking it out. 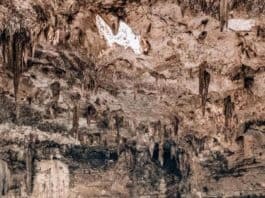 What makes this cave cenote especially unique is the stalactites form a dome hanging down from the ceiling. Clusters of stalactites form one of the most gorgeous natural features I’ve ever seen. 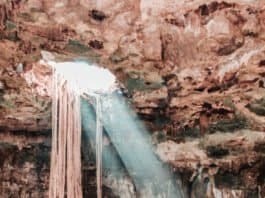 Even though there are bigger cenotes, and ones with higher ceilings, the rock formations in this cenote are truly breathtaking. You may expect these caves to be cold, but they are almost always steamy and warm, which makes the swim even better. The water is cold, but not so cold that you can’t actually swim in it without feeling like you are going to turn into an icicle. 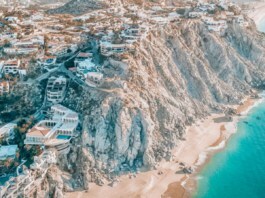 For those who aren’t strong swimmers, there is often a lifeguard on duty, or you can grab onto the ropes that are stretched across to pull yourself along. 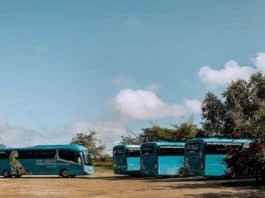 It takes about two hours to drive to Xkeken cenote from the Cancun hotel zone, but if you are planning to visit Chichen Itza, it is only 30 minutes from there. The best part is that if you want to stop by Cenote Dzitnup/X’keken it is only adds about 15 minutes to travel time back to Cancun. The cenote is about 4 miles south of the town of Valladolid. It actually sits between Valladolid and the small town of Dzitnup (where the cenote get its nickname from). 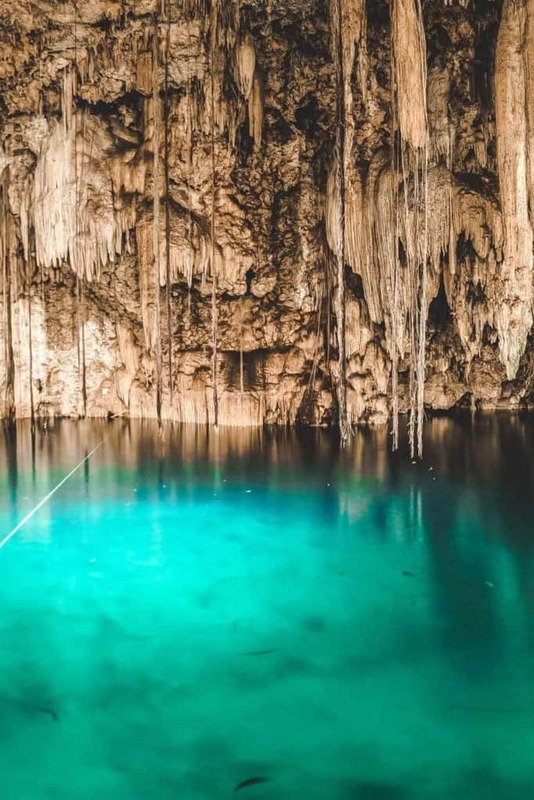 There are plenty of other nearby cenotes if you want to visit more (Cenote Samula, Cenote Saamal, and Cenote Zaci are especially close). 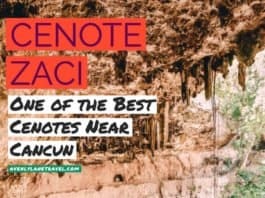 Yucatan Cenotes are usually cheap, and Cenote Xkeken is no different. 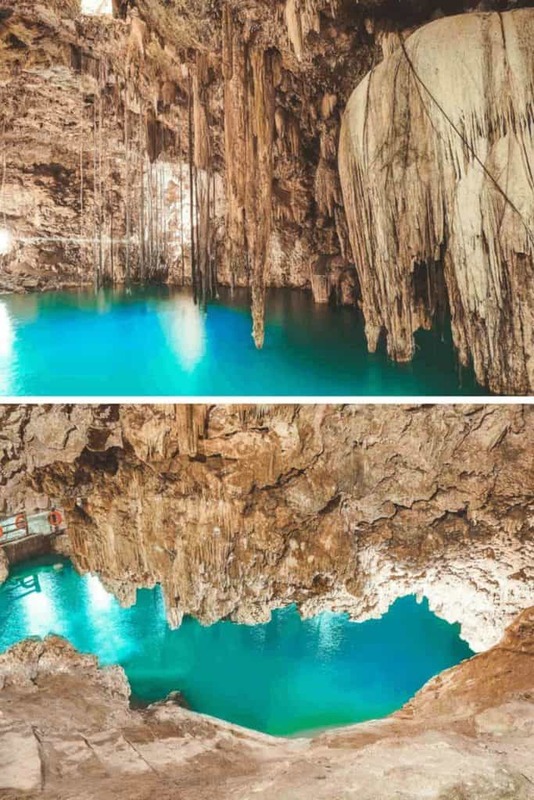 To get into the park featuring Cenote Xkeken and Cenote Samula, you only need to pay about $10 USD/80 pesos, or you can pay about $5 and only see one. Even though tour guides are available at the entrance of the park, I don’t recommend hiring one to walk you around the park with you. We tried one for a little while and while he was a great guy, the information was pretty much what we read online before getting there. A post Chichen Itza cenote stop is perfect at Xkeken since it is open until 7:00 pm. Most cenotes close at 5:00; the extra couple of hours it remained open are what allowed us to be able to see it. It also opens earlier than most at 8:00 am. 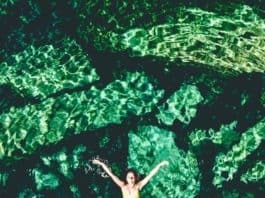 If you are looking for the perfect cenote photo without crowds of people in it, then you should aim to be there first thing in the morning or just before closing time. 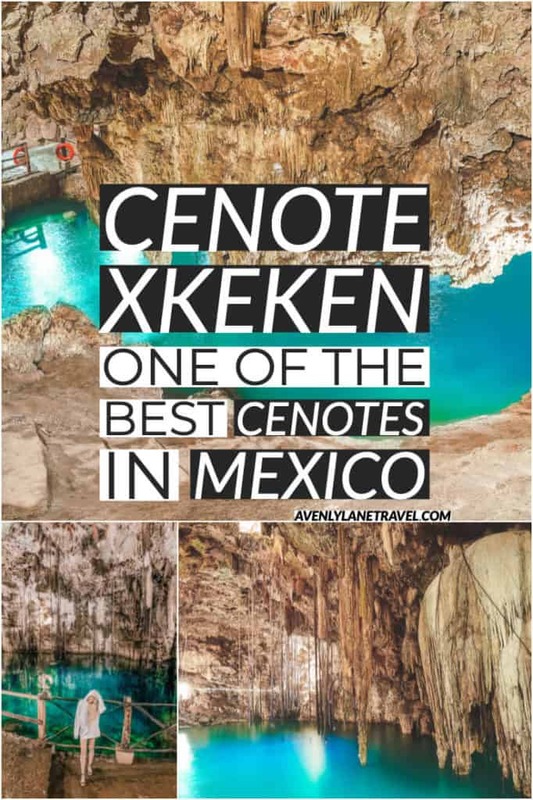 So what do you think of Cenote Xkeken? 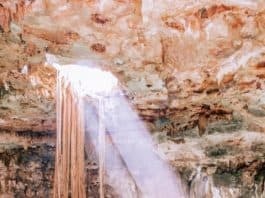 Are cave cenotes one of your favorites like they are mine?